Lifestream International will officially unveil its new look today, which will roll out across its 50 superfood and wholefood product lines. Celebrity chef (The Biggest Loser, Good Chef/Bad Chef), nutritionist, naturopath and bestselling author, Janella Purcell, will be special guest at a wholefood high tea, a media-only event to be held in Grey Lynn from 2.30pm. Long before the wellness movement began, a small New Zealand company with big dreams introduced Kiwis to two of the most nutritionally rich wholefoods on the planet. Thirty-five years on and Lifestream continues to lead the market with Aloe Vera and Spirulina, offering wholefood variations of both to suit individual health and wellness needs and tastes. It’s these popular products that now headline a suite of more than 50 unique product lines. The company has always been, and continues to be, dedicated to plant based, ethical, sustainable, high quality and concentrated nutrition. The refreshed ‘circle within a circle’ logo, which represents wholeness through health, wellbeing and sustainability, is supported by updated graphics and typography to create a solid, recognisable Lifestream brand identity. Most labels also feature wholefood imagery, depicted to visually show customers what foods are formulated within each supplement. These categories will help consumers choose the best wholefood or superfood product for their specific requirements. 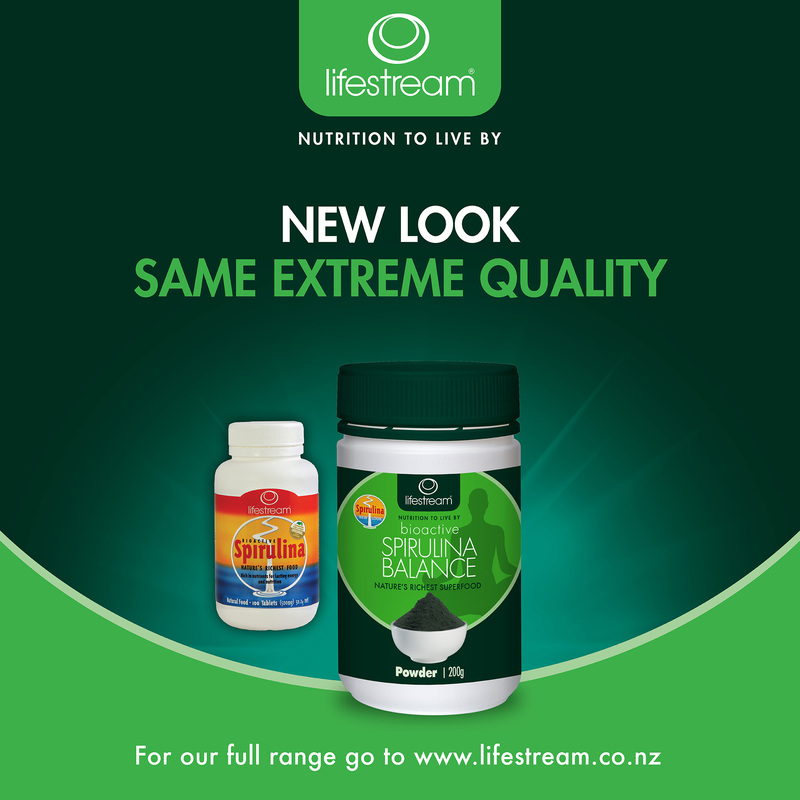 While the Lifestream branding has been refreshed, there is no change to the product formulations. Each continues to undergo rigourous quality control checks, with the vegan, vegetarian and organic ingredients sourced from ethical, sustainable and high quality suppliers from around the world. “While we started as the original superfood company, with the original superfoods spirulina and aloe vera—still the very best superfoods available—we have grown into a full service wholefood nutrition brand built for today’s consumers wanting sustainable, bioavailable, plant based nutrition,” says Juliette Banks, Marketing Communications Manager.